Here at the Calendar Lady Promotions Lanyards Department we can supply any sporting event, rock concert, carnival or festival with our brilliant Advertising Lanyards. 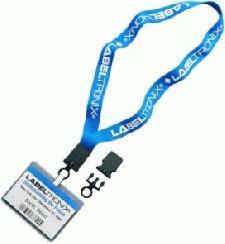 The most cost efficient way of promoting your event on our Advertising Lanyards is called screen printing where the ink is printed on the surface of the material in a similar process to t-shirt printing. The ink appears to be slightly raised on the surface. Four different widths are available ­ 10mm, 15mm, 20mm and 25mm. We can colour match to the anything matching system and print up to 4 solid colours on one or both sides of the fabric. We can supply you with literally 100's of different Promotional Lanyards here at the Calendar Lady Promotions Lanyards Department and we can get hold of whatever design, colour and shape you like best at the best price in the UK. 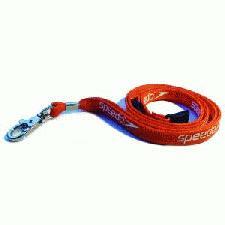 Our promotional lanyards are produced to your specific requirements, incorporating your choice of text or logo, repeating along the length of the ribbon. We can fit a dog clip, swivel clip or crocodile clip for connecting to card holder. 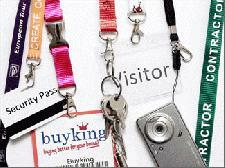 Other lanyard fittings such as water bottle holders, mobile holders and safety release clips are also available. Just tell us what you want and we'll do the rest.. 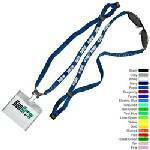 So help to promote your new event upon our Branded Lanyards today and wear your Branded Lanyards with pride. To find out more about our Calendar Lady Promotions Lanyards Department click here and fill in the contact form and we'll get straight back to you. 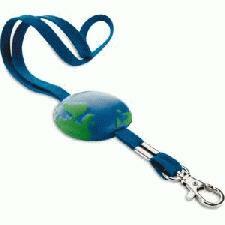 Other promotional and personalised items besides our Calendar Lady Promotions Lanyards Department click here.